Experience the best of Florence in just 3 hours including the outside of the Duomo & Michelangelo's David. Explore the streets, piazzas & bridges of the city (including the Ponte Vecchio) on a Florence walking tour. With small groups of just 15 people your guide will be easy to hear and interact with, for a more personal experience. Don’t miss a single one of Florence's best sights on this Florence walking tour including the Ponte Vecchio, Duomo, and many more. With small groups of 15 people or fewer and skip the line access to Michelangelo’s David we make the most of every second we have together and immerse you in the stories and fact that bring the city to life. Your Florence Walking tour starts with skip the line access to the Florence Accademia. Once inside, your expert Walks guide will reveal the fascinating history of Michelangelo’s David, whose beauty and size have to be seen to be believed. You’ll also see Michelangelo's unfinished Slaves which give unprecedented insight into the master's creative process. 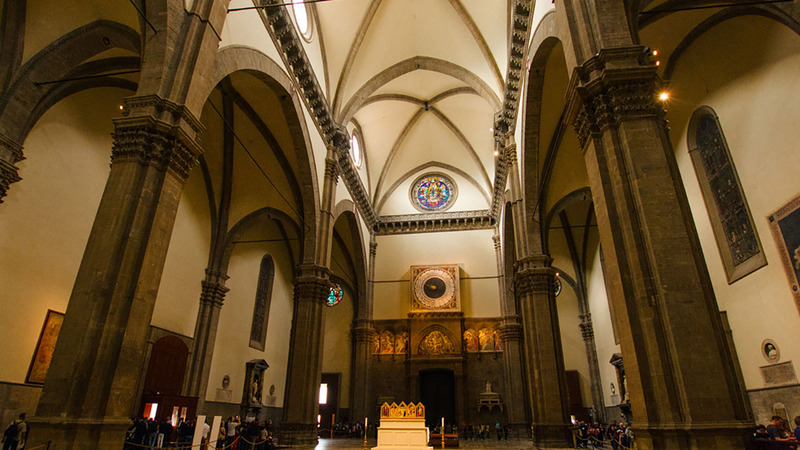 Another highlight is Florence’s famous cathedral, the Duomo. 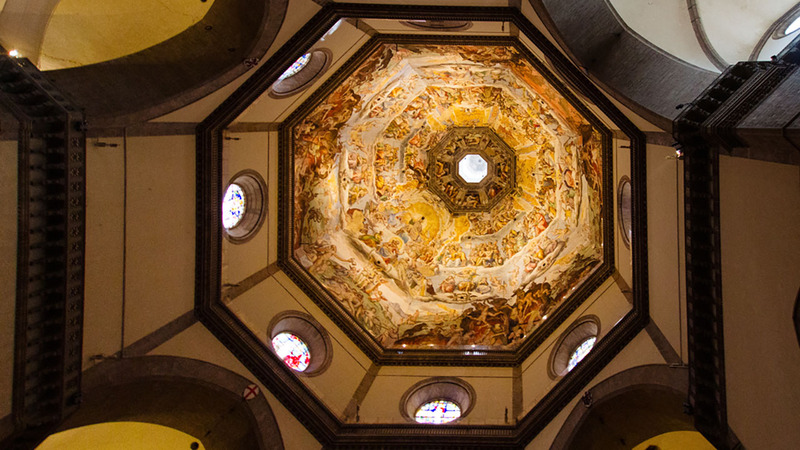 As you admire its monumental exterior from the Piazza del Duomo, your guide will tell you the improbable story of Filippo Brunelleschi and how this Renaissance man re-discovered knowledge lost for more than a millennium to build the Cathedral’s world-famous dome - one of the largest on earth. Before leaving the Piazza, you’ll stop at the Baptistery. During a close look at the world-renowned Baptistery doors, dubbed the 'Gates of Paradise', your guide will tell you the story of the cutthroat competition that created this glittering masterpiece. Don’t forget to ask plenty of questions—that’s the beauty of a tour with only 15 people, maximum! 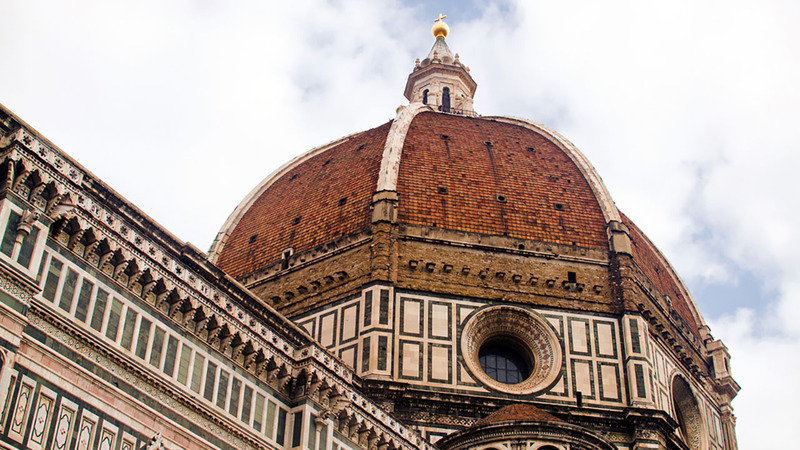 Your Florence walking tour also includes a breezy city stroll past the highlights of the city. At the Piazza della Signoria, you’ll admire Florence’s other world-famous sight, the towering Palazzo Vecchio, visiting the original site for Michelangelo’s ‘David’, where an exact replica stands. Hear the stories behind the statues at Orsanmichele Church, rub the Porcellino pig’s nose for good luck, and feel swept up by history at the Piazza della Repubblica, the ancient Roman forum that later became the city’s Jewish ghetto. 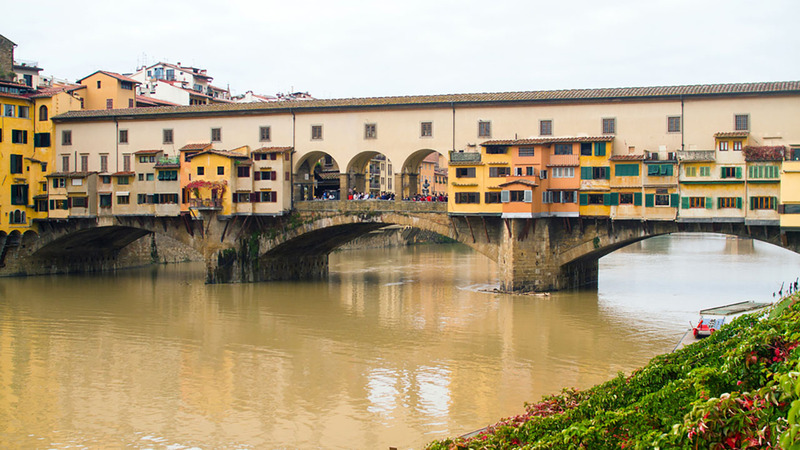 Top if all off by crossing the Ponte Vecchio, the most picturesque bridge in all of Florence – perhaps all of Italy. 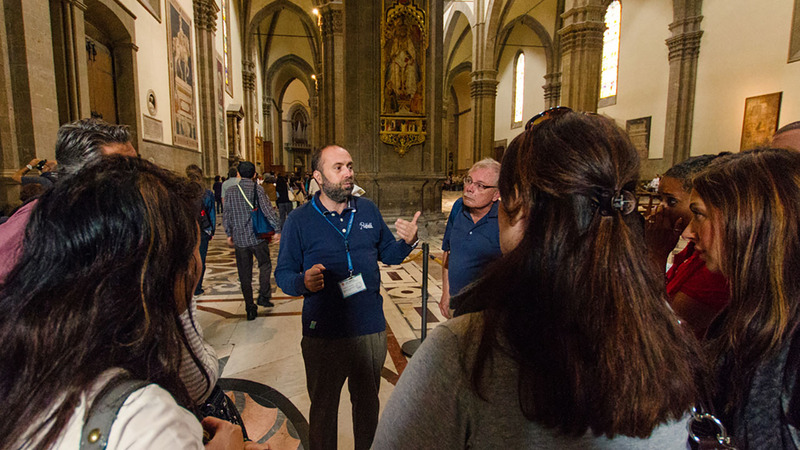 By the end of your Florence walking tour, you won’t just have “seen” Florence’s most famous sights; you’ll have discovered their histories, stories, and what makes them so notable. Eleanora was superb! Knowledgable, friendly and warm. Passionate about her work! A wonderful experience! Thank you. Great tour and Eleanora was fabulous!